At the beginning of WWII, USSR Premier Josef Stalin and German dictator Adolf Hitler signed a non-aggression pact that also secretly agreed to divide eastern Europe between them. What changed it? How did Stalin's attempt at joining forces with Hitler affect his relationship with the Allies later in the war? How did the Battle of Stalingrad (USSR) affect the outcome of WWII? Stalin repeatedly asked the Allies to open a second front in Europe to relieve the USSR from German attacks. When did that finally occur? 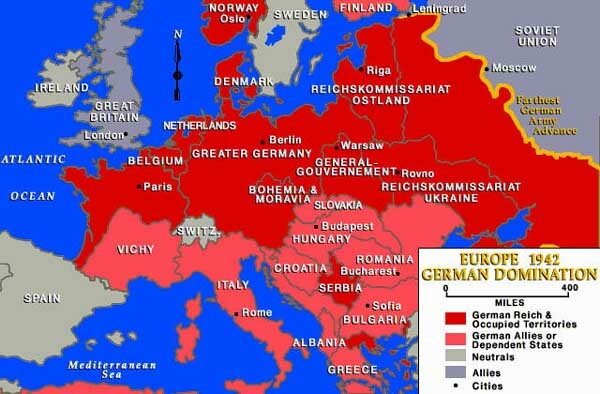 What WWII allies were known as the "Big Three"? A short history: the Russian revolution in 1917 - led by Vladimir Lenin - brought about a communist government in Russia. Not content with remaining solely as Russia, communist rebels set about conquering nearby peoples and their governments, forcing all to convert to communism. The federation then called itself the Union of Soviet Socialist Republics, or USSR (known as the Soviet Union). The administration of US president Harry Truman watched as communist rebels attempted to take over Greece after World War II. The government of Britain had its army assist the Greek army for a time, but then suddenly withdrew after a few years of the fighting. Meanwhile, in China, a civil war broke out between China's democratic government and communist rebels, led by Mao Zedong. In a speech before Congress in 1947, Truman reflected on the shape of the post war world, concerned that in the struggle between free societies and communist governments, communist governments could gain the upper hand. 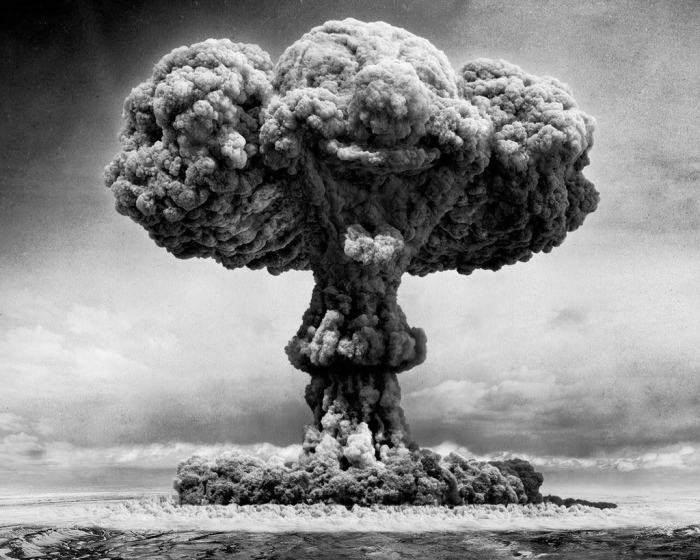 With the dangers the United States was facing through the spread of communism worldwide and ideological competition between communist governments and free governments during the Cold War, US officials began to build the nation's nuclear arsenal. Nuclear secrets found their way from US laboratories to both Russia and China (more on that Wednesday), and both of these countries also began to stockpile nuclear weapons. Watch the following video, then write a response to the question below:.